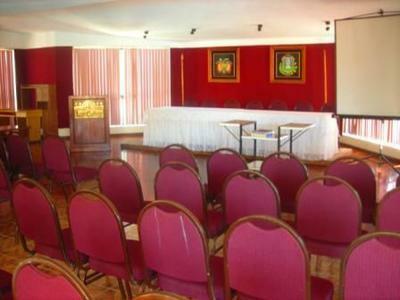 Hotel Los Ceibos Tarija. Owner Daniel Beccar showed us around this hotel, which is located about 10 blocks from the city center on a wide boulevard, near the Tarija police station. The most appealing feature of this hotel was its pretty pool and garden area complete with a great playground for kids and lots of space to play or relax. The pool is heated when the climate is cool and there are also hot tubs. 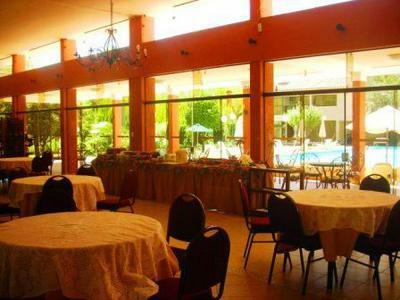 The lobby area is large with a great seating area overlooking the gardens and this extends into a very, very large dining/banquet area which has the same pretty view and also doubles as a conference area for up to 300 people. There is another conference room on a mezzanine directly above the lobby. 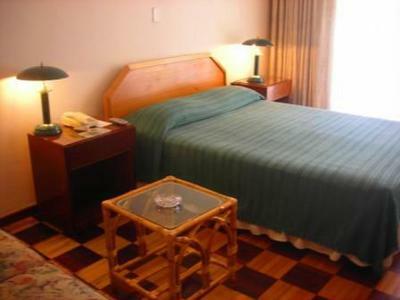 Rooms at the Hotel Los Ceibos are roomy and comfortably furnished. Most have nice views either of the gardens or the nearby hillsides. The hotel also offers an indoor garage for those who arrive by car, a restaurant/bar, outdoor grilling area, and wireless internet throughout. The rooms have very large, roomy closets, another feature that makes this a great hotel for families or long stays. The hotel has single, double, family, and executive suites plus apartment-style rooms. It also has an on-site tour operator that can help you plan tours to nearby attractions. Staff were very helpful and welcoming. 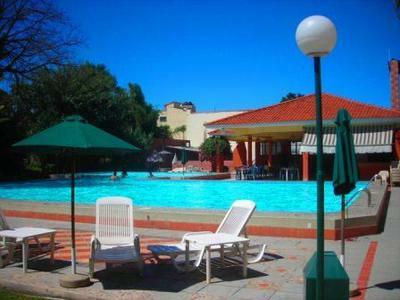 The Prefecture of Tarija gives Hotel Los Ceibos 4 stars.